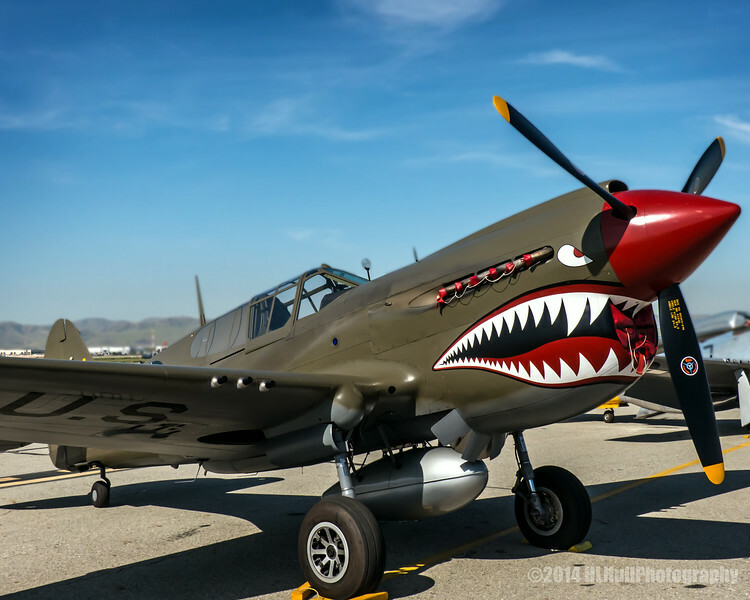 The P-40 is most widely known as the aircraft of the Flying Tigers, aka the American Volunteer Group (AVG), who began fighting the Japanese in China during the early days of the Pacific war. The P-40 was not as maneuverable as the aircraft types flown by the Japanese. The P-40 was built in a number of variants, sold to several foreign air forces, and operated under a plethora of names. It was known as the Warhawk to the USAAF, while the British Commonwealth countries called the early versions Tomahawks and the later versions Kittyhawks. A number served with the SovietAir Force, under the lend-lease program. The aircraft served in all theaters of WW2. This airplane is also one of the Museum’s few actual combat veterans, having shot down a Japanese incendiary balloon off British Columbia. The museum's aircraft is a Kittyhawk IV (equivalent to the P-40N in USAAF service), flown by the Royal Canadian Air Force. It is painted in the markings of the 325th Fighter Group. Appearances in the movies Pearl Harbor and Valkyrie. Awesome plane and a terrific shot! A great find and captured with wonderful perspective. Great shot of a historic bird. Well captured. Fun shot! Nice artwork and capture! Great paint graphics and capture! Ha, thought it looked familiar - grew up on an RCAF air base! Awesome shot! Love the paint job on this plane!